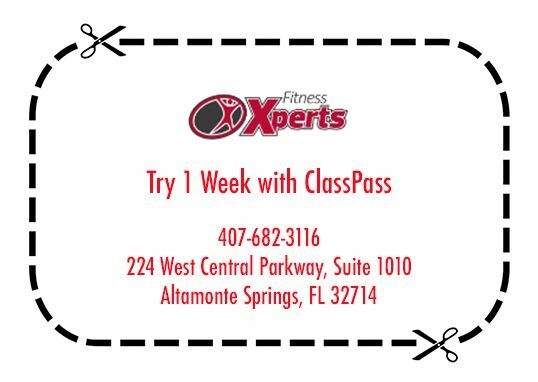 Ready to explore your Altamonte Springs gym membership options? Fitness Xperts offers 4 different membership packages for you to choose from! Our gym membership packages feature UNLIMITED FitX Group fitness classes plus 24/7 gym access, 365 days of the year! We offer a range of daily fitness classes including Boot Camps, Zumba, Functional Fitness, and Kickboxing Classes. Need a little more one-on-one attention? Check out our Fitness Xperts for personal training, couples training, and/or small group training, or check out our FitX Train membership for the best of both worlds – personal training + FitX classes! See below for details. Call (407) 682-3116 now to schedule your complimentary consultation and gym tour! Includes all FitX Class benefits, plus..